Offering you a complete choice of products which include water mist mobile pump system. 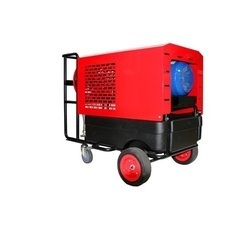 To meet variegated demands of our patrons, we are betrothed in providing a high-class series of Water Mist Mobile Pump SystemThese are available in diverse configurations that meet on customer’s demand. Applicable in different fire types of A, B and C.
It is easy to use in a confined space with no need for a large amount of water Lightweight, strong and high-pressure hose installed.